I just got an iPad recently, and being the fiscal conservative I am, I got a 2nd hand iPad1 with warranty left. Pretty good deal if I must say so myself. So being my first apple product, I didn’t know what to expect, since theres always stories that apple tries to lock people into doing what they want them to do. You can’t share photos and songs, you can’t copy things to it without itunes, you can’t install apps that is not apple approved, you can’t plug a usb drive or a sd card to it (unless you pay more for the accessories), you can’t this, you can’t that. They even try to prevent you from using facetime or skype if you are using 3G, rather than wifi. Gah. 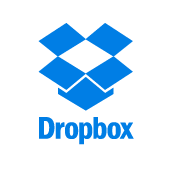 So anyway, it seems one of the easiest ways to have access to things is to install DropBox. Essentially DropBox is a cloud computing model, where you would have a 2gig (and more) space online. You would then install a software on your computer and any other devices. So once you copy a file into the designated directory on your computer, the DropBox software will automatically upload it to the cloud space, and then you can download it with any of your other devices. The key thing is having it as seamless as possible, by having the directory recognised as one of the local directories. Will have to test it out further, but from the looks of it, it should be good news! But as usual for apple, I would expect a lot of limitations. Don’t understand these apple fanboys. Also, they have this referral program, where if you have someone open an account with DropBox, you and your friend would get an additional 250meg in your DropBox, up to a maximum of 8gig! Pretty decent indeed. Definitely worth a try for iPad users!